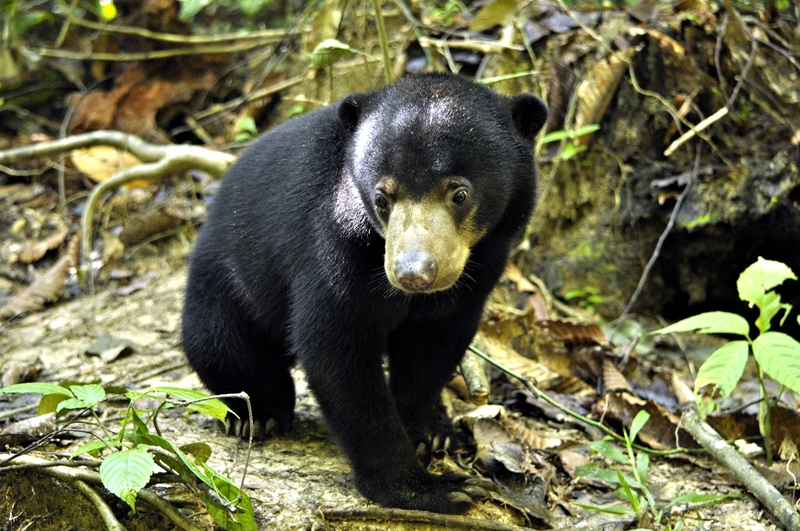 Helarctos malayanus (Sun Bear) is a species of mammal in the family bears. It is listed as vulnerable by IUCN. It is found in the Indo-Malayan Realm. It is an omnivore.